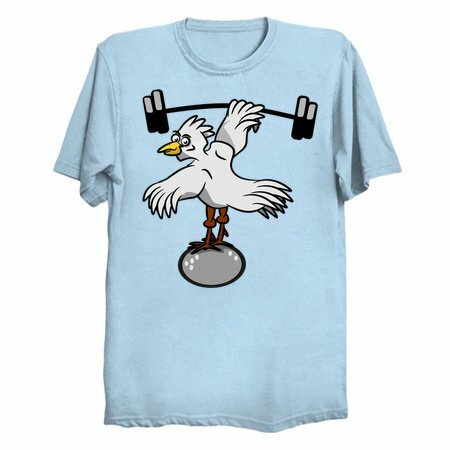 This chicken lifting weights design was inspired by two friends I had at university. They both worked out, and they both skipped leg day a few times too often. They used to call each other chicken legs. 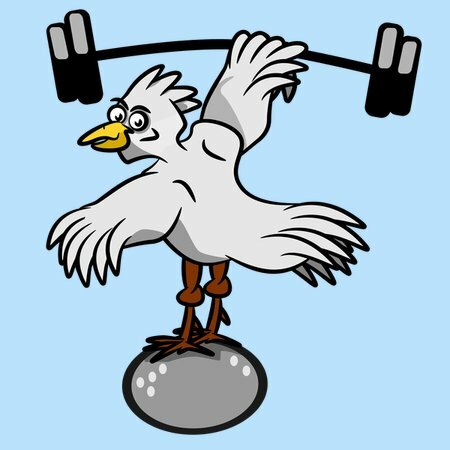 This cartoon chicken is lifting weights with one wing while balancing on an egg.